This is the perfect class for those new to machine embroidery or who need a basics refresher course. It is for Bernina owners of the 560, 580, 535, 570, 590, 770, 790, 500, and 700. 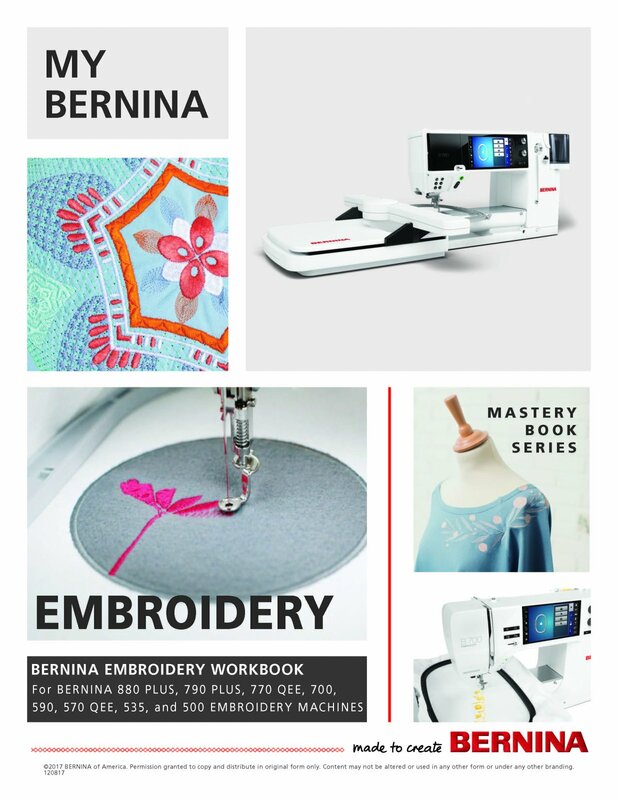 The class is open to Bernina owners who purchased their machines at Bernina In Stitches. Please bring your machine, embroidery unit, and basic sewing supplies. Also feel free to bring a snack or light lunch for break time.